Some questions for candidates running for Arizona’s Congressional District 7 seat. We’ve all seen the mailers, received telephone calls, and heard the campaign commercials: it’s political campaign season once again. But something’s missing from the discussion: policy proposals for the geographic area that is Congressional District 7 in the great State of Arizona. It’s easily forgotten by candidates and their cheerleaders that the representative does just that: represent the entire constituency, not just those who supported them. In your opinion, what is the role of the Federal government in creating vibrant, strong, and diverse urban spaces, like downtown Phoenix? How will you work with cities to achieve your vision? How will you help cities humanely address immigration? A study came out in the past couple months saying that at the end of this century, the average summer temperature will rise 10º F (5.6º C). What are your policy proposals and how will you work past those who incorrectly deny climate change to address the climate crisis? The Arizona Department of Transportation is in discussion to build intercity passenger rail between Phoenix and Tucson. What is your view on this project and does your support include making Federal financial support happen? What is your view on expansions to the Phoenix metropolitan area’s transit system, including METRO light rail? How will you work with your fellow Arizona congressional colleagues to continue to bring Federal financial support for large-scale infrastructure improvements to our constituency? What is your approach to governance? Do you intend to remain ideologically rigid or will you seek compromise and consensus? 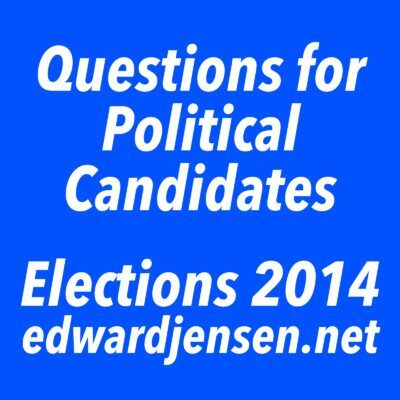 I invite you to ask your own questions below and I invite the candidates to respond to these questions.